In the UK, operative vaginal delivery rates have remained stable at 12-13%; yielding safe and satisfying outcomes for the majority of the women and babies [RCOG, 2011]. In this article, we shall look at the indications, classification, and pre-requisites for an operative vaginal delivery. There are two main instruments used in operative deliveries – the ventouse and the forceps. In general, the first instrument used is the most likely to succeed. The choice is operator dependent, but forceps tend to have a lower risk of fetal complications, and a higher risk of maternal complications. The general rule is, if after three contractions and pulls with any instrument there is no reasonable progress, the attempt should be abandoned. An electrical pump attached to a silastic cup. This is only suitable if the fetus is in an occipital-anterior position. A hand-held, disposable device commonly known as the “Kiwi”. This is an omni-cup – it can be used for all fetal positions, and rotational deliveries. There are also cups that can be used with the electrical pump that are suitable for OP positions. These are generally metal cups with the tubing attached to the side of the cup as opposed to the middle – the Bird cup. 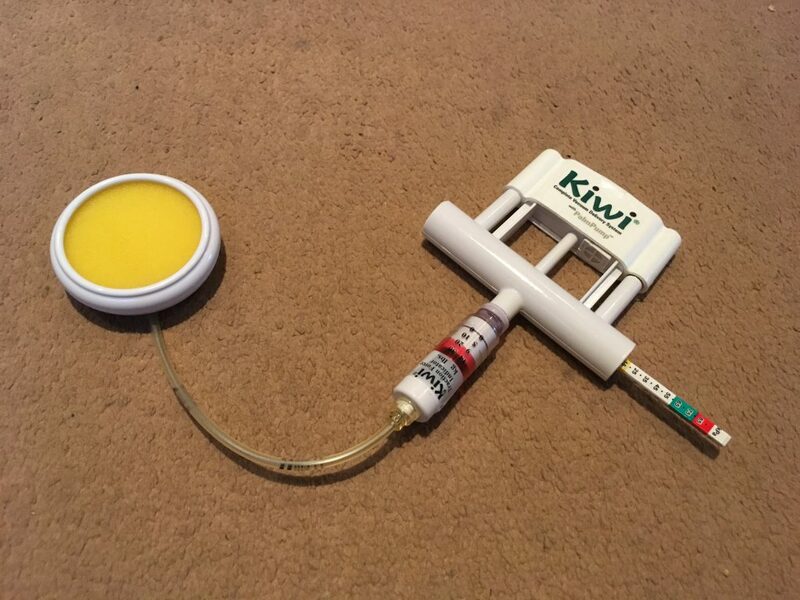 Fig 1 – The “Kiwi”: a hand-held disposable ventouse. Rhodes, Neville-Barnes or Simpsons – used for OA positions. Wrigley’s – used at Caesarean section. Kielland’s – used for rotational deliveries. Is there a valid clinical indication to intervene? Is the patient a suitable case for an instrumental delivery? Nulliparous women – as a general rule, expect delivery after two hours of active pushing. If no urge to push is felt at the diagnosis of second stage (common with regional anaesthesia), an hour can be allowed for fetal descent before starting active pushing. Multiparous women – expect delivery with one hour of active pushing, with an hour for descent if needed prior to active pushing. Unengaged fetal head in singleton pregnancies. Incompletely dilated cervix in singleton pregnancies. True cephalo-pelvic disproportion (where the fetal head is too large to pass through the maternal pelvis). Breech and face presentations, and most brow presentations. Note: Forceps can be used for the after coming head in complex breech deliveries. Preterm gestation (<34 weeks) for ventouse. High likelihood of any fetal coagulation disorder for ventouse. Severe non-reassuring fetal status (‘acute fetal distress’), with station of the head above the level of the pelvic floor – i.e. fetal scalp not visible. Delivery of the second twin when the head has not quite engaged, or the cervix has reformed. Prolapse of the umbilical cord with fetal compromise when the cervix is completely dilated and the station is mid cavity. 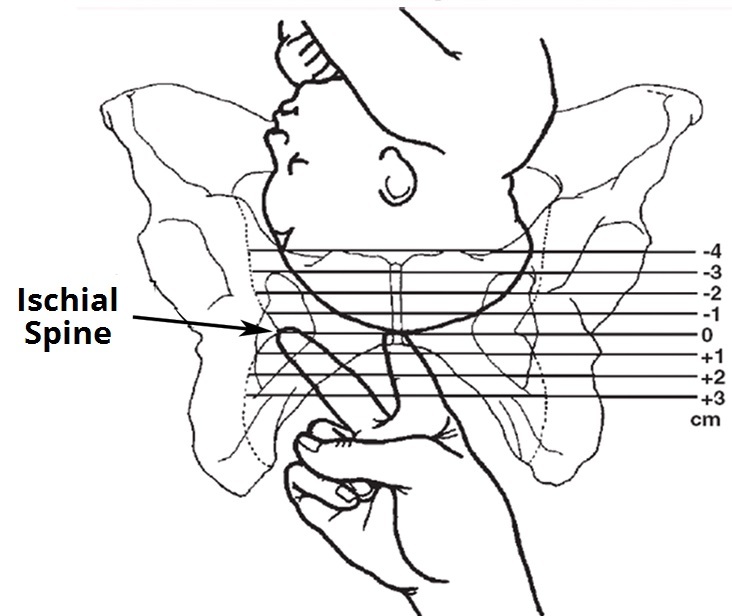 Fig 2 – Assessment of the fetal station is performed in relation to the ischial spines. Operative vaginal deliveries are classified by the degree of fetal descent. The lower the classification, the less the risk of complications. Lowest presenting part (not caput) is +2, or further below the ischial spines. The complications of an operative vaginal delivery can be divided into fetal and maternal. As a general rule, the lower the classification, the less rotation needed, and the fewer pulls – the lower the complication rate.